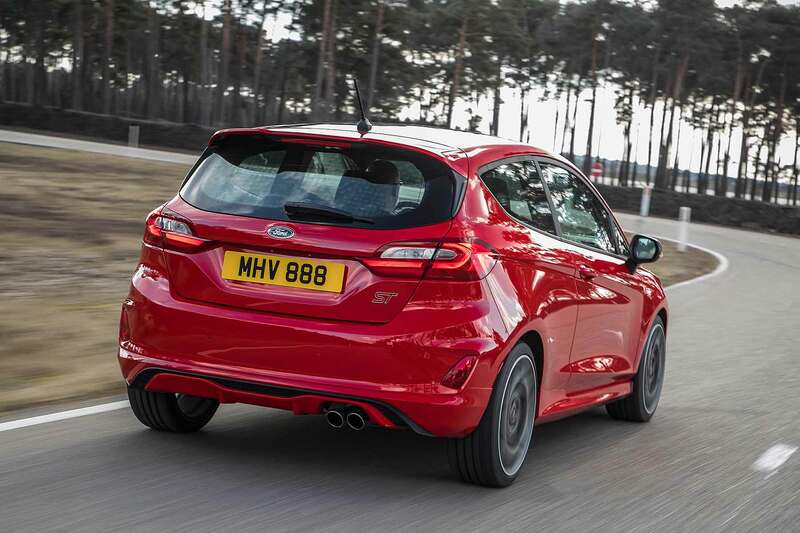 Ford is so determined to claim class honours for its new Fiesta ST hot hatch, its engineers have invented and patented a new form of suspension technology to give it an edge over rivals. 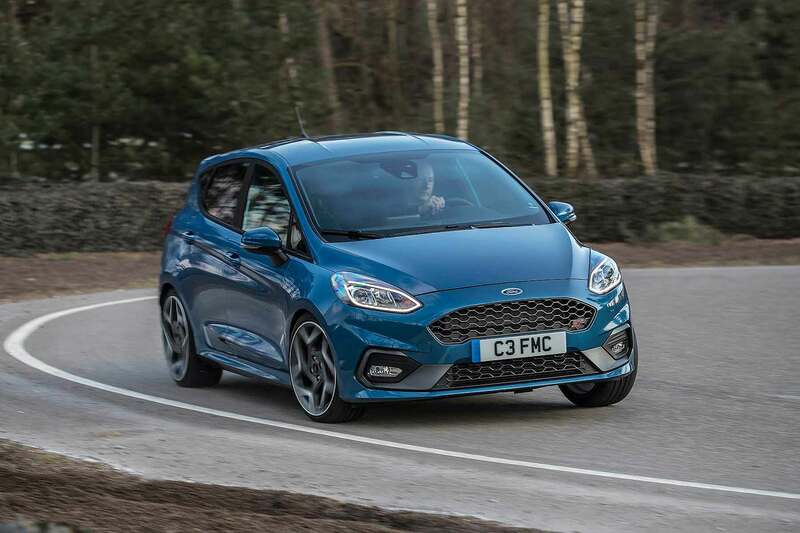 It’s also giving the new 200-horsepower model, which goes on sale this spring, an optional limited-slip differential for the first time – and is offering launch control on the potent new ST, which again is a Fiesta first. The trick new suspension feature is force vectoring springs. These use a special type of winding that applies sideways forces to the rear suspension – Ford says it enables cornering forces to travel directly through the spring, making the rear end stiffer. 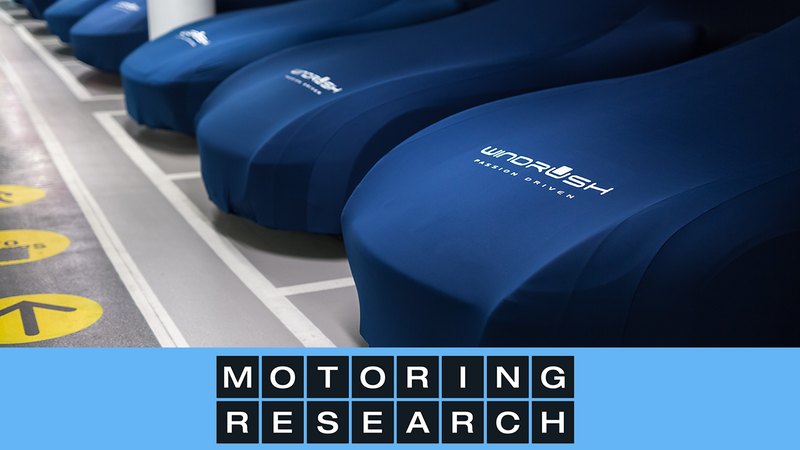 Apparently, it’s better than other ways of firming up the rear end, because it weighs less, and the clever new springs also don’t spoil comfort, ride quality or refinement. When combined with high-end Tenneco dampers, which have frequency-dependent control, the rear roll stiffness is the firmest of any Ford Performance model – including the Focus RS. “We went through three times the normal number of suspension iterations to find a set-up that delivered,” said Ford Performance director Leo Roeks. To capitalise on this enhanced ability, Ford’s offering a Quaife limited-slip differential (LSD) as an option. 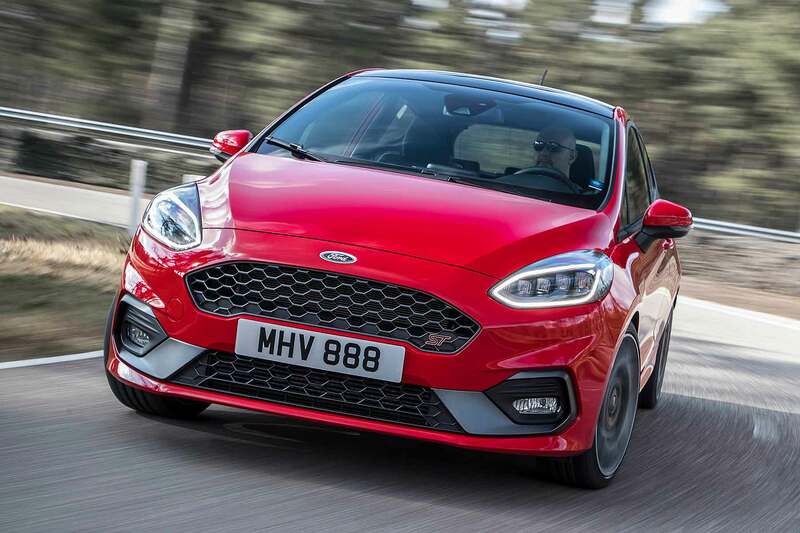 Enhancing the standard electronic torque vectoring this stops power being spun away by a wheel with reduced grip, giving the sporty new Fiesta better front-end traction and bite. With a healthy 213lb ft of pulling power, spread between 1,600-4,000rpm, this may well prove advantageous: Ford’s already claiming 0-62mph in 6.5 seconds and a top speed of 144mph – and that acceleration time should be repeatable, courtesy of optional launch control (read below how it works). Oh, and 11 percent better fuel economy and CO2 emissions, thanks to cylinder deactivation technology for the three-cylinder 1.5-litre turbo engine. For the first time, there are three different driving modes, engaged via a button on the dash. Ford’s proud of the car’s fruity exhaust, which has active exhaust valve tech to make it sound spicier in Sport and Track models. The ESC system has three modes too: fully on, ‘wide-slip mode’ and fully off. “We’ve applied what we’ve learnt from the Ford Focus RS and Ford GT to develop an all-new Fiesta ST that sets a new standard for driving fun in this segment,” boasted Roeks. Other tech highlights include bespoke front suspension knuckles, a steering setup that’s 14 percent faster than the old Fiesta ST (and faster than any other Ford Performance car), plus big brakes with 278mm ventilated front discs. Choose from either 17-inch or 18-inch alloys. 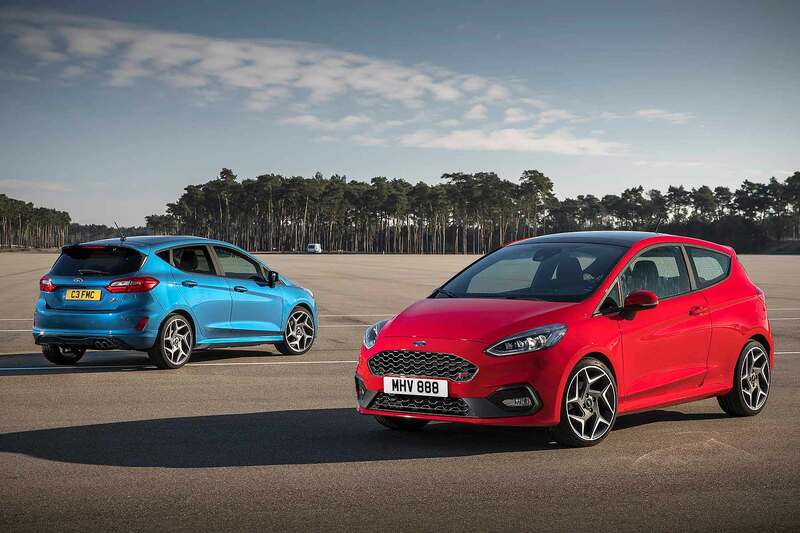 The new Fiesta ST will be offered in ST, ST-2 and ST-3 variants, as a three-door or five-door, in a choice of seven colours, and all will be fitted with standard Recaro seats that offer a broader range of adjustment than any rival chair. 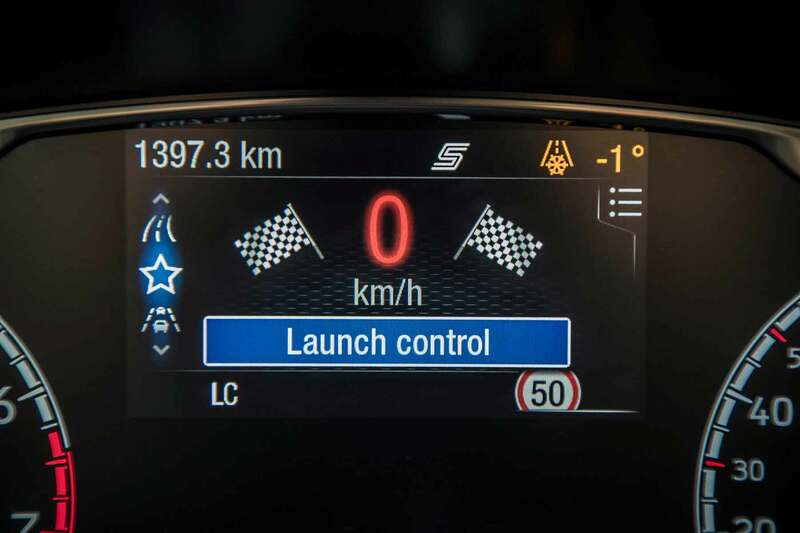 New Ford Fiesta ST launch control: how does it work? Launch control in the new Fiesta ST is masterminded via the flat-bottom steering wheel’s buttons. Engaging it calls up a dedicated display in the instrument cluster’s 4.2-inch electronic display. Drivers press the accelerator pedal fully to the floor, and the system builds engine rpm and holds it at the rev limit. An on-screen gauge ‘fills’ and indicates when the car’s ready. 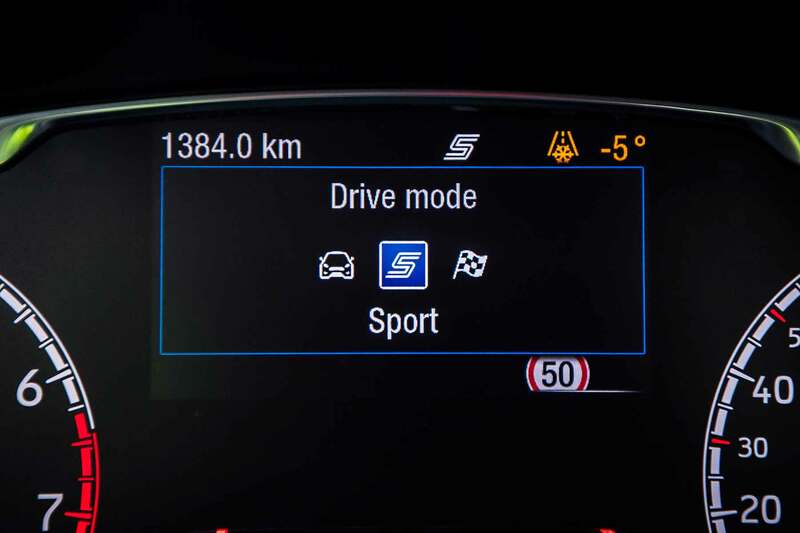 Then, release the clutch, and the car will deliver the perfect standing start by juggling traction control, ESC electronic stability control, Torque Vectoring Control and Torque Steer Compensation systems. Behold, the new king of the traffic light grand prix?